Applications: Leather sofas, Upholstered Furniture, Safety Harness, Saddles, Sails, Car Seat Covers, Parachutes, Tents, Tarps, Kevlar belts, Covers, Awnings, Automotive upholstery, Marine Upholstery, Buffing Wheels, Nylon or Polyester lifting slings, Cargo lashing straps (Ratchet Tie Down), Safety belts, Military belts, Industrial webbing, Industrial safety products. 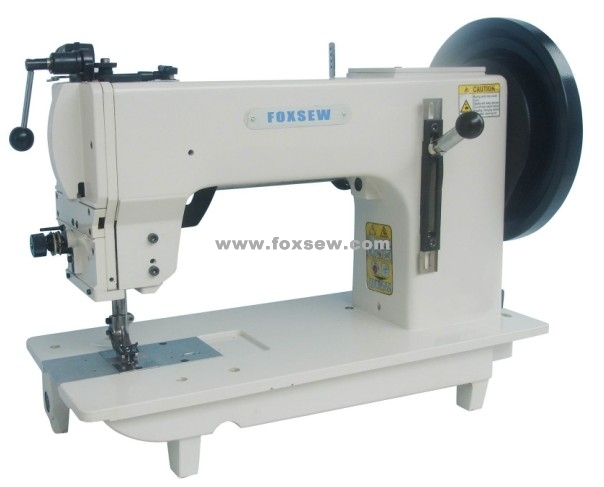 Features: Even sewing with long stitch lengths and thick threads, the FX-204 is characterized by an excellent stitch pattern and uniformly tight stitch formation, for the extremely sturdy design of its mechanical parts and the enhanced feeding action. 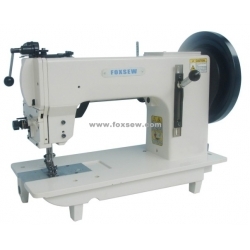 This machine with heavy cylindrical shuttle hook is designed for processing extreme thread and material, such as the manufacture of leather goods, special textile, Sofa, Furniture, Car Seat Cushion, Car Upholstery, tents, harness, saddles, and decoration industry.